Wei Pantry brings Vietnamese flavors into your everyday cooking and entertaining. Whether it's breaking down intimidating recipes, guiding you through an Asian grocery store, or introducing you to our versatile and easy to use products - we hope you are inspired by the flavors we love most. All our recipes and way of cooking come from generations of immigration, reinvention, and blended home cooking. 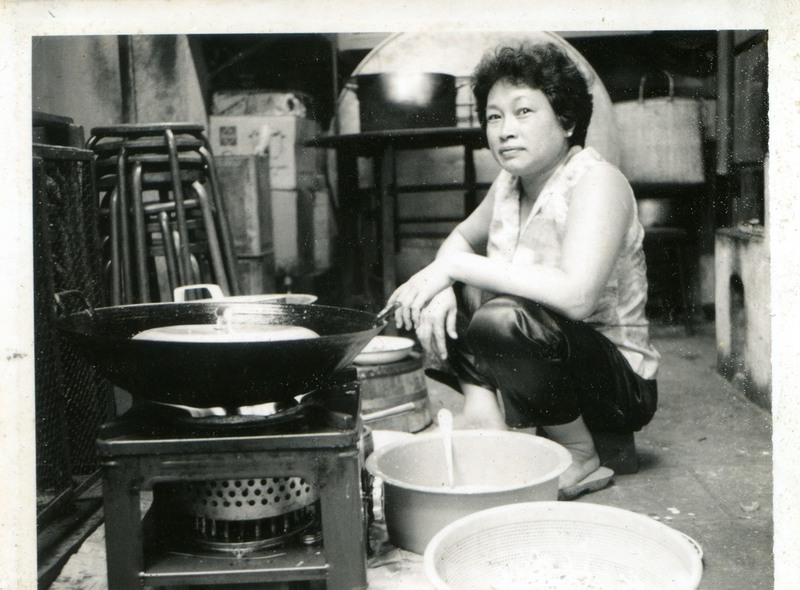 Bu Wei Truong, grandmother of Wei Pantry Founder & CEO makes dinner for her 20+ household in Saigon, Vietnam. Many Asian kitchen staples are difficult to make – involving deep frying, caramelizing, and pungent aromas. Wei Pantry brings all of those flavors without the heavy lifting. Our products are 100% homemade, all natural, and use organic and local ingredients whenever possible. People often ask whether products or recipes we have are "Vietnamese," or "Chinese," or "French," though most can't be classified so easily. These products come from countries with complicated backgrounds that are reflected in the depth and versatility of their flavors. That's what makes them fit so well into all your favorite dishes. Debbie grew up with a mixture of Vietnamese, Chinese, and Jewish-American home-cooking. Though originally from the bay area, she has lived and worked all across Asia, from Beijing to New Delhi, before relocating to Los Angeles, CA. Wei Pantry reflects the depth of Debbie's travels as well as her stubbornness for recreating and transporting the flavors she grew up loving. Her favorite products hope to inspire experimentation with new areas of cooking and entertaining in your home. Debbie is the founder and CEO of Wei Pantry. You can read more about her story here. With a strong analytical background anchored in finance and marketing at MIT, Irene has rich experience in business strategy and planning at Goldman Sachs and Apple. Pursuing a passion for food & beverage, she attended culinary school at Le Cordon Bleu in Paris, and then immersed herself in the San Francisco food scene working in strategy and operations roles at Munchery and Philz Coffee before joining the Wei Pantry team.